Mega Yapi is a company providing international service in bridge accessories and special construction technologies. Our core business activities are expansion joints, bridge supports, seismic devices, posttensioning systems, cable stay systems, ground anchors, heavy lifting applications, manufacturing and supplying special mold and assembly equipment. Our company was established in 1993, with head office and manufacturing facilities in Ankara-Turkey. We also provide contracting services for complete bridge construction. Currently, hundreds of bridges in Turkey, Central Asia and the Middle East are equipped with bridge accessories provided by Mega Yapi. Our activities have been carried out under the ISO 9001 certificate since 1998 and the success of Mega Yapi is supported by its international partners. 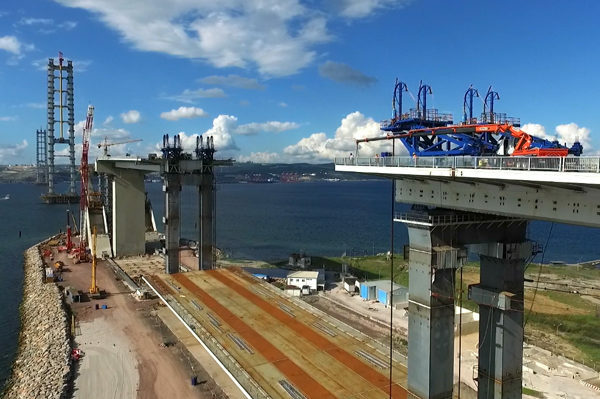 Today, Mega Yapi is one of the leading companies in Turkey in special bridges.